Notes: The manuals are now split. 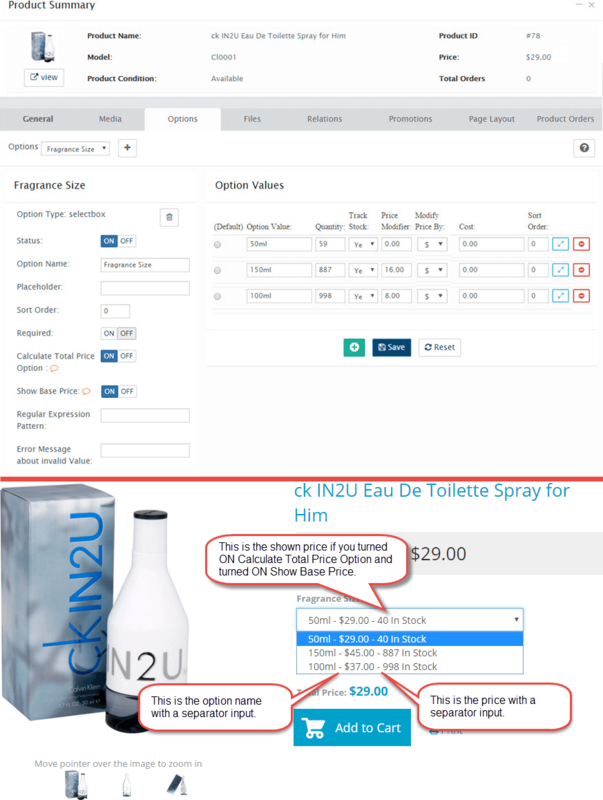 Lite changes all the options products in the same way. Pro allows each individual option to be changed in the way it is displayed. 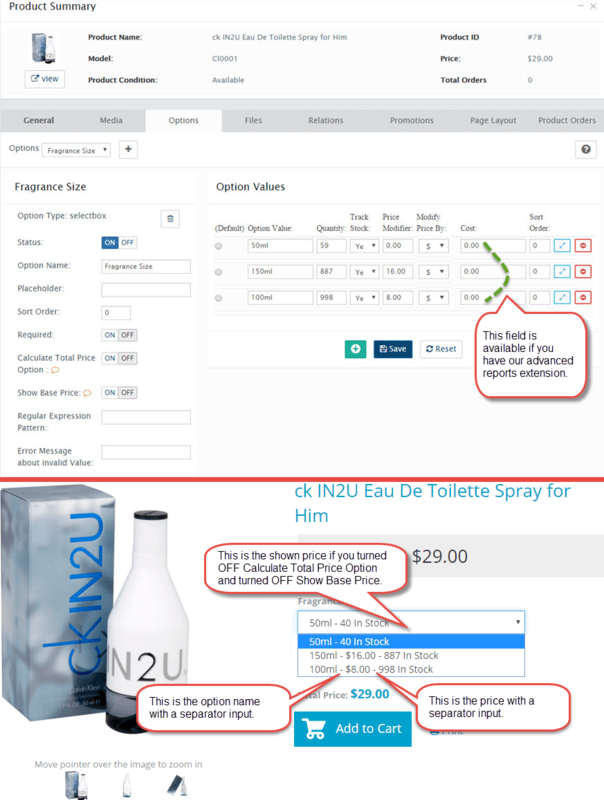 Link Pro adds the ability to show a link or information to your customers email order confirmation - to a form to fill out, for a file, a training video, etc. AbantecartCart Version(s) 1.1.9 – 1.2.8 use Enhanced Option Pricing Display - Lite v1.2.0.6. 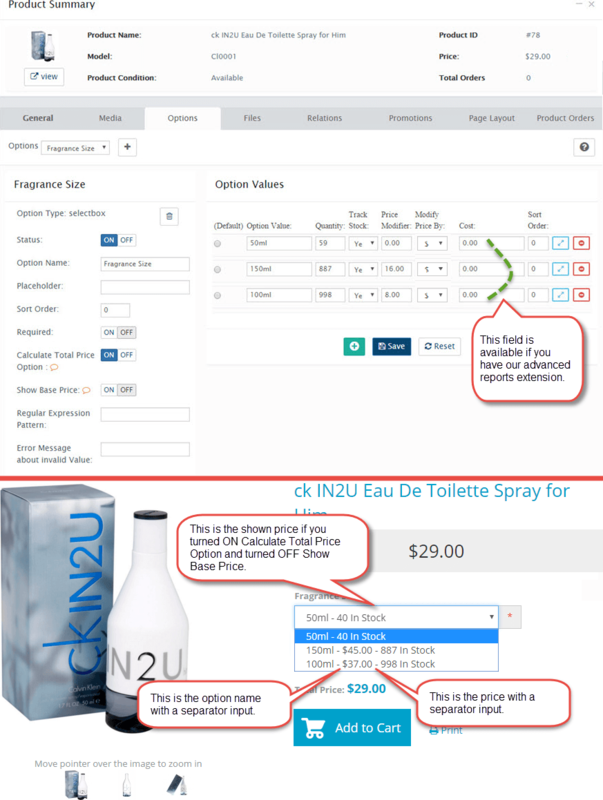 This extension helps you to modify the option price displayed on the product page. 1. 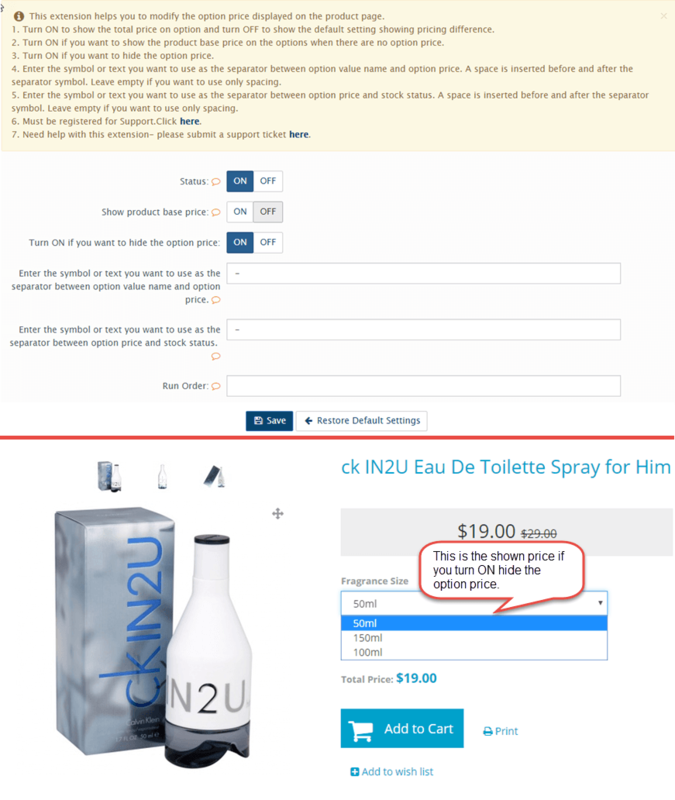 Turn ON to show the total price on option and turn OFF to show the default setting showing pricing difference. 3. Turn ON if you want to hide the option price. 4. Enter the symbol or text you want to use as the separator between option value name and option price. A space is inserted before and after the separator symbol. Leave empty if you want to use only spacing. 5. Enter the symbol or text you want to use as the separator between option price and stock status. 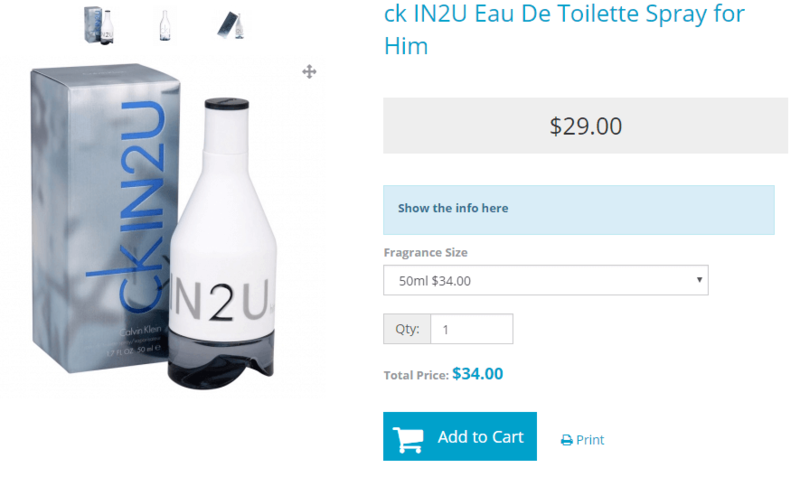 A space is inserted before and after the separator symbol. Leave empty if you want to use only spacing. featureAdded hide option price button. You are able to choose whether if you want to calculate base price+option price on each option level or not and show base price on each option level or not. 2. 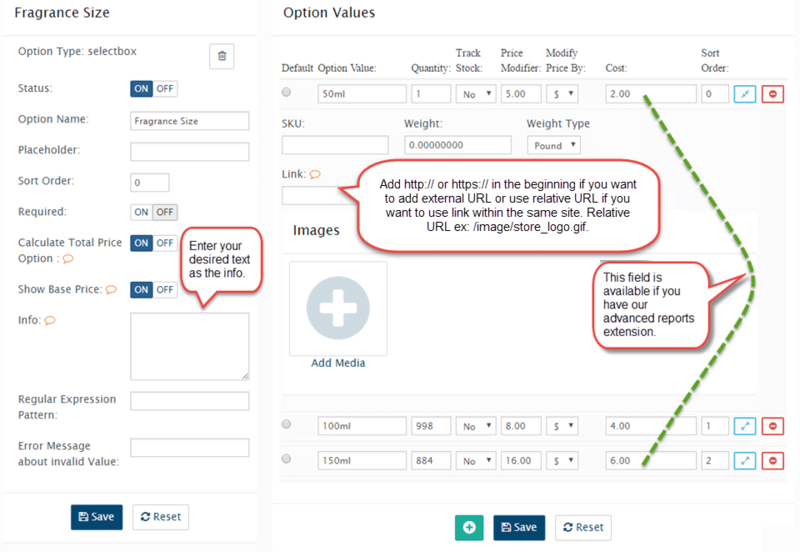 Enter the symbol or text you want to use as the separator between option value name and option price. A space is inserted before and after the separator symbol. Leave empty if you want to use only spacing. 3. 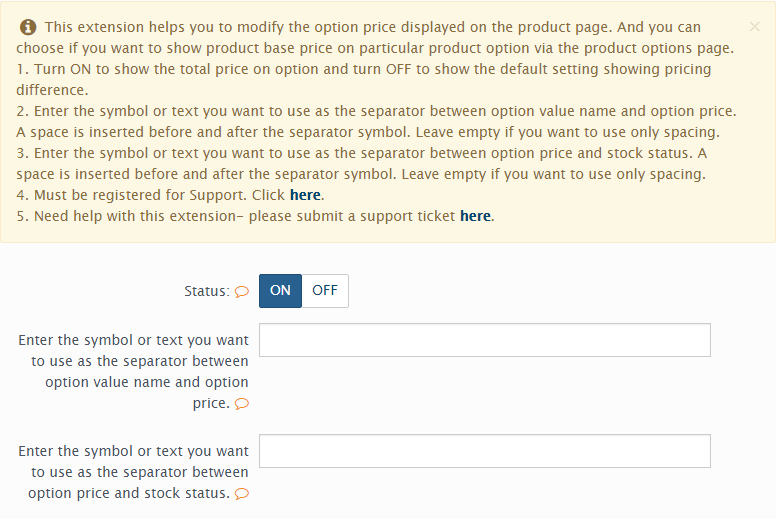 Enter the symbol or text you want to use as the separator between option price and stock status. A space is inserted before and after the separator symbol. Leave empty if you want to use only spacing. 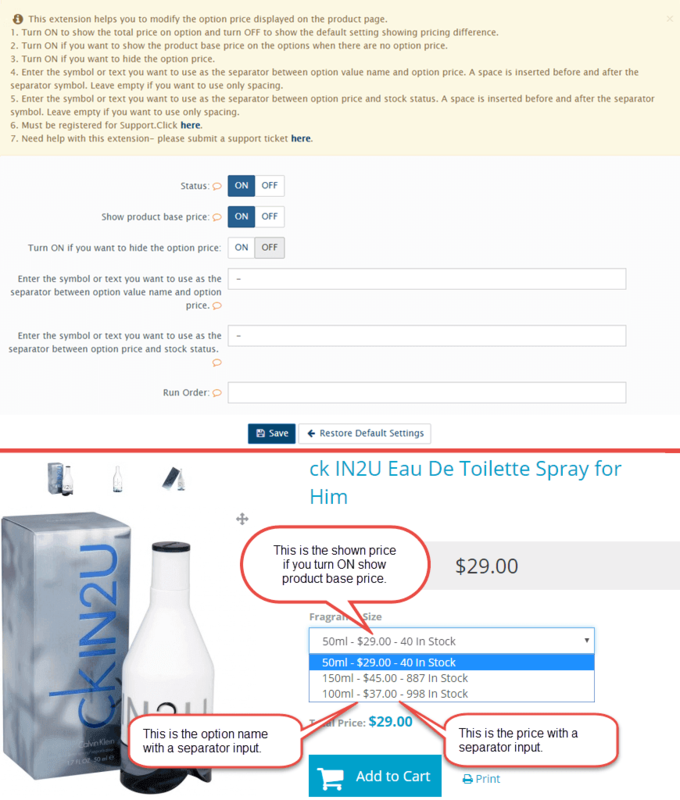 bug-fixFixed unable to add product options issue. You are able to choose whether if you want to calculate base price+option price on each option level or not and show base price on each option level or not. 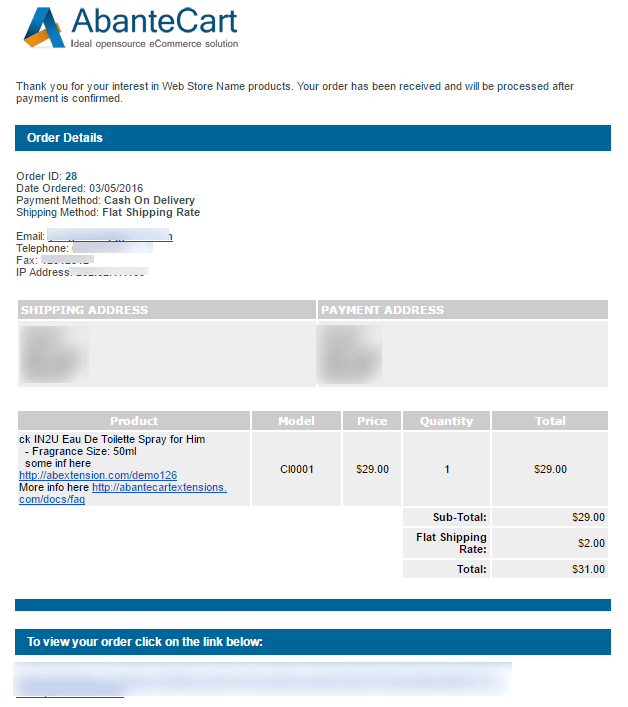 And show links in the customer order confirmation email. 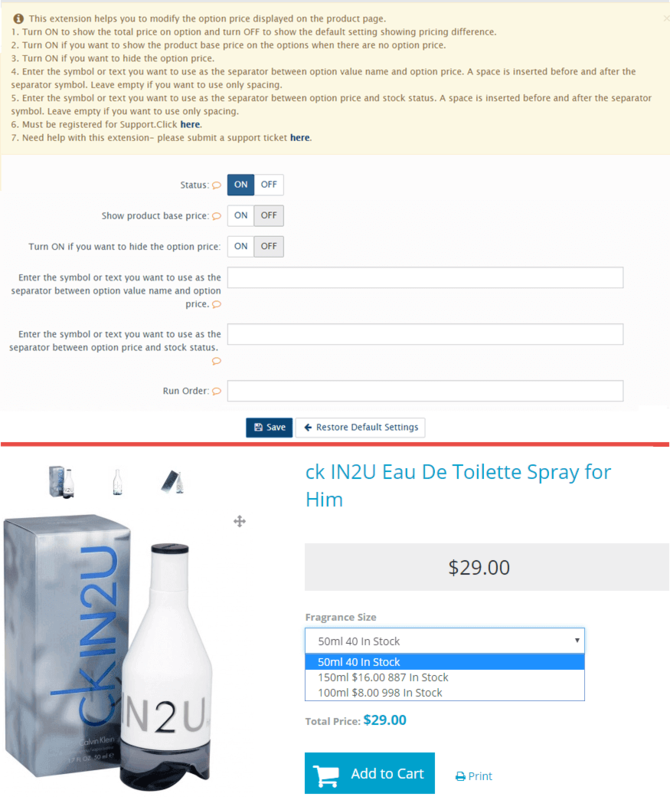 Plus the ability to show a link or information to your customers email order confirmation - to a form to fill out, for a file, a training video, etc. Note: You must set Option Link Pro extension run order to 1 if you're using jQuery lightbox Popup extension. And if you're using addthis with or without Product As Option and jQuery lightbox Popup extension, you must set AddThis sort order to 1 and you can unset Product As Option and Option Link Pro sort order to empty. Support jQuery lightbox Popup extension.